I've been working on my newest work in progress for maybe two, two and a half weeks now and I'm closing in on 8000 words (about 30 pages). I'm enjoying the story and the characters so far and I'm hoping to aim for 70K plus on it, so I guess I better be loving every minute I spend with them! This is my third YA novel and I feel like my first chapters are coming together much easier than they did on the other two. Practice makes perfect, or at least better! I was definitely bummed to have to cancel my New Orleans research trip, but the internet is such a handy tool. I'm hoping Google can take me where I could not go. I've still had no word back from aforementioned Lovely Agent, and while I'm a little bummed and feeling like that part of my life is stalled, I'm just holding out the tiniest bit of hope that she will request the full. If not I'll probably cry, but that's nothing new! I've decided that there are two things I must do in my life...read and write. And no matter if I write a book a year for the next 10 years and no one ever gives them a second look, oh well. I'll still have 10 books written! And someone will read them, at least 4 or 5 someones, so it won't be for nothing. Okay that's not totally true, I will still be sad that they aren't published, but it'll be okay! And lastly, I start my first class at DePaul in 2 weeks! It seems like forever away, but it'll be here quick. I had to order my book, the 900 and some odd page Chicago Manual of Style. At the least I'll get giant biceps from lugging that thing around! Sorry this post was a bit rambling...but oh well! I'm currently reading Grip of the Shadow Plague, the third book in the Fablehaven series by Brandon Mull. I'm really enjoying the series and I am trying to catch up. His 5th book for Fablehaven comes out March 23rd, so I'm a little behind! In the lineup after Grip of the Shadow Plague is The Amulet of Samarkand by Jonathan Stroud, which was loaned to me by a great student who insisted I would love it. Also waiting to be read is City of Bones by Cassandra Clare and the entire Vampire Diaries series by L.J. Smith. I single-handedly upped her royalties for the month of March by buying the whole series at once! Well, the third and fourth were on sale and I couldn't possibly buy those without also buying the first and second! I'm still reading some non-fiction as well as research for my new book, a book on Marie Laveau, Voodoo Queen and one on the Pirates Lafitte. I'd love to hear what you are reading! Any suggestions? I've written everywhere, in bed, at a desk, at a table, on the floor of the bathroom while my daughter is in the tub, during lunch, waiting at a doctor's office...seriously everywhere. Tonight I'm fed up and just want a place of my own. I had an office, but I never sat there much anyways. It's wide open to the rest of the house and was not very comfy. So we turned it into a toy room. The hubby has an office in one of the spare bedrooms so he can do his law school work uninterrupted. But me, I got nothing. So tonight I have taken over the chair with ottoman in my bedroom that usually houses clothes. It doesn't face the TV, it is away from every other distraction other than Facebook (I can never get away from that!) and it's relatively quiet. How about you? Where do you typically write? Do you have your own space or just write in the thick of it all? It's not been a very long time since I've sent off my baby to be analyzed by a fantastic agent, and yet I am still thinking, wondering and obsessively checking my Gmail account to the point I worry that it will burn up the computer. I've thought about making some more edits and I'd like to make a few changes, but don't want to do anything until I hear back. It's enough to make me insane! I've started working on a new project in hopes of distracting myself, but I just can't seem to stop thinking about the MS I sent out. I want to get my hands on it and do some work, but what do you think? Editing in vain? Also, for all you NaNoWriMo peeps, or screenwriting peeps, don't forget that Script Frenzy is coming up in the month of April. 100 pages of script in 30 days! I'd love to do it, but I just don't think I'll be able to fit it in if I want to get a novel written this year! Maybe in 2011. Anyone doing it this year? Best of luck! I was reading Heather Brewer's (Chronicles of Vladimir Tod) status update on Facebook and she was discussing how she celebrated when her book series made it to the New York Times Best Seller List. She said when she initially made it, she broke out the Dom Perignon, and now, at week five, is down to a fist bump. What are your celebration plans for when you get the *big* contract, when your book actually comes out or when it breaks onto the NYT Best Seller List? I plan to enjoy the Dom Perignon when I sell my first book, and maybe buy myself a real Louis Vuitton purse. But being the miser I am, I'm sure it'll just end up being the Dom, maybe the purse will have to be a NYT Best Seller prize! This is a re-posting of an interview I did with author Naseem Rakha in June 2009. I thought all my fellow writers out there might appreciate it! She also has a trailer for her book here. I read the book as well and thought it was amazing. Enjoy! KK: Naseem, thank you for joining me today! Please tell me about your new book, THE CRYING TREE. NR: Irene and Nate Stanley are living a quiet and contented life with their two children, Bliss and Shep, on their family farm in southern Illinois when Nate suddenly announces he’s been offered a job as a deputy sheriff in Oregon. Irene fights her husband. She doesn’t want to uproot her family and has deep misgivings about the move. Nevertheless, the family leaves, and they’re just settling into their life in Oregon’s high desert when the unthinkable happens. Fifteen-year-old Shep is shot and killed during an apparent robbery in their home. The murderer, a young mechanic with a history of assault, robbery, and drug-related offenses, is caught and sentenced to death. Shep’s murder sends the Stanley family into a tailspin, with each member attempting to cope with the tragedy in his or her own way. Irene’s approach is to live, week after week, waiting for Daniel Robbin’s execution and the justice she feels she and her family deserve. Those weeks turn into months and then years. Ultimately, faced with a growing sense that Robbin’s death won’t stop her pain, Irene takes the extraordinary and clandestine step of reaching out to her son’s killer. The two forge an unlikely connection that remains a secret from her family and friends. Then Irene receives the notice that she had craved for so long – Daniel Robbin has stopped his appeals and will be executed within a month. This announcement shakes the very core of the Stanley family. Irene, it turns out, isn’t the only one with a shocking secret. As the execution date nears, the Stanleys must face difficult truths and find a way to come to terms with the past. KK: Wow, what a fascinating concept. What motivated you to write a book dealing with the death penalty? NR: In 1996, I was assigned to cover Oregon’s first execution in over thirty years. At the time I had never given much thought to the death penalty and what it would take for the state to plan out, prepare, and then kill a man. After the assignment, I wanted to learn more so I began to interview death row inmates, the people they had harmed, and the men and women we entrust to carry out our nation’s most severe sentence. During that time I heard many stories, some of them abhorrent some heartbreaking, but by far the most compelling were those told by the people that had come to terms with the murder of a loved one, and no longer felt it necessary to seek retribution. This arc, from the most desperate kind of anguish to reconciliation and even love stunned me, and compelled me to write The Crying Tree. KK: Is THE CRYING TREE your first foray into the world of writing? NR: THE CRYING TREE is my first novel. Prior to that I was a journalist for public radio, and prior to that I was an environmental consultant and facilitator. My degree, if you can believe it, is in geology. KK: I happened to read on your site that Sister Helen Prejean, renowned death penalty opponent and author of DEAD MAN WALKING, has already given your book a great review. Has it received any other early reviews you would like to share? NR: Yes – both Publishers Weekly and Library Journal have come out with early reviews, and readers for the Amazon Vine Program have come out with very strong praise. I believe that people are drawn to the universal sense that revenge and anger are, in their entirety, life draining and counterproductive. They appreciate reading about someone’s journey to the other side of hate. KK: So I have to ask…where is your favorite place to write? NR: Three or four times a year I treat myself to a weekend on the Oregon coast. I go there with three or four other writers, and we sit with our laptops and write all day. Taking occasional breaks to walk on the beach. Then, at night, we cook good meals, drink good wine and talk, talk, talk…..
KK: After reading our interview, I am sure people will want to know more about Naseem Rakha and THE CRYING TREE. Where can they go? Thank you for sharing with me, Naseem! Good luck with THE CRYING TREE and keep me posted on any upcoming new releases! So I googled myself earlier today. I was bored, it happens! I happened to find that according to Networked Blogs on Facebook, I am #19 out of the top 50 blogs on Publishing that they have, which is sweet, considering I'm just getting started in this biz! But then again, it could be there are only 50...hmmm. 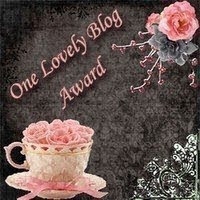 Cynthia Leitich Smith's blog is #1 but I've got a long way to go until I get as many followers as she has! Way to go Cynthia! Thanks to everyone out there that follows me! Friday night, my awesome writer friend Michelle Sussman, who is on Twitter, alerted me to the fact that an agent was holding a contest (Through Kathleen Ortiz's Neverending Page Turner Blog). The idea of the contest was that if you submitted to this agent during the one hour window on Saturday, she would be so kind as to give you her absolute honest opinion regarding the book you were presenting. Now having pretty much struck out so far with my novel, the Green, I figured it couldn't hurt because maybe I could at least glean some helpful information from the NO instead of just the good old 'thanks, but no thanks.' So I entered. This is the 3rd submission I've received in the past few weeks with the title THE GREEN--weird! But it's also the best one--I'd like to see the first 20 pages as a Word doc attachment in Reply to this email. And so there it is. I've had requests before, but this one just felt nice. It's positive and while there is no promise she'll actually like what I wrote, it's a boost to get a yes every once in awhile, even if it's a small one. I sent off the 20 pages last night, but seeing as she received 240 queries (in ONE hour!) and requested 30, I'm guessing I'll have a long wait to find out if I've moved to the next step, which would be a request for a full manuscript. If not, it was exciting to participate and gives me some validation that I'm in the right profession. Needless to say, I've since joined Twitter. Thanks again, Michelle! I'm so excited to see that I have over 100 people following me through Networked Blogs on Facebook. Thanks everybody! I do only have 9 followers through Blogger, but we'll work on that! Hope to keep providing you with something entertaining to read!